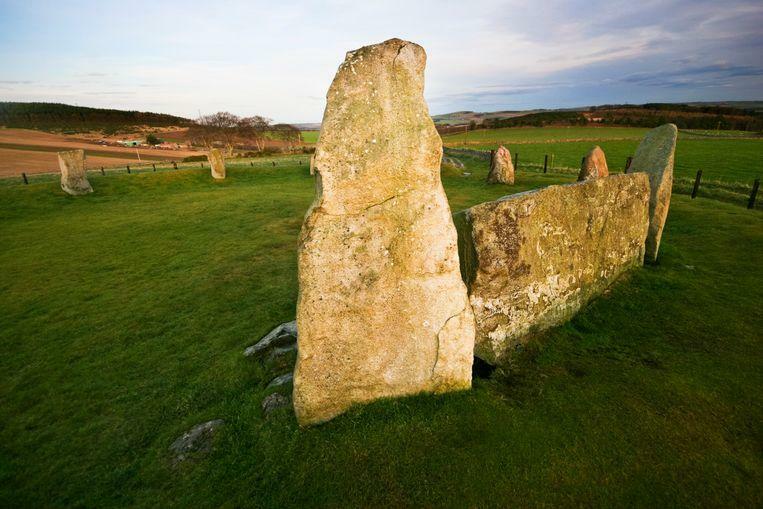 A reclining stone circle on a farm in the British Aberdeenshire, which was assumed to be thousands of years old, turns out to be only a good 20 years old. That came to light when the man who placed the stones themselves in the circle, came out with the news. The current owner of the farm brought the stone circle to the attention of the Aberdeenshire City Council. Historic Environment Scotland, responsible for the management of Scottish historical heritage, spoke of an important historical discovery. The city council had the site investigated in search of possible new discoveries from days long past, but that work was stopped after a phone call tossed in the works. The authorities were contacted by the former owner of the farm, who had received air from the news about the stone circle. He said that in the 1990s he himself had placed the stones in a circle. A line through the account of the municipality and the current owner, now it appears that the monument does not date from the Bronze Age, but from the period of boy bands, bad hairstyles and the first mobile phones. Only stone circles can be found in the north-east of Scotland. They were built some 3,500 to 4,500 years ago. They consist of, among other things, a large horizontal stone, flanked by two upright stones.